The BAX EQ from Plugin Alliance is an emulation of the Dangerous Music BAX EQ hardware unit. It’s a professional version of the tone controls found on the majority of consumer analogue equipment and is based on a circuit designed by Peter Baxandall in 1952. Unlike most professional equalisers which, while very powerful are capable of doing a great deal of harm to a signal, the Baxandall filters were gentle and phase coherent and as a result almost impossible to use badly. 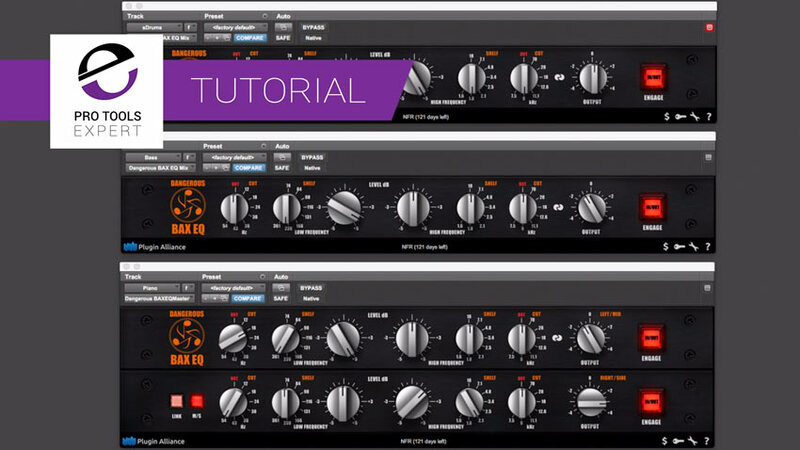 In this free video tutorial, brought to you with the support of Plugin Alliance, Pro Tools Expert team member Julian Rodgers demonstrates the BAX EQ on a demo recording of drums, piano and bass, while often used on busses or in mastering applications, this equaliser is capable of shaping the overall character of individual instruments and because of its benign nature its very difficult to get wrong!